My brothers summer job this year was growing produce. He sold it via a Facebook page. I bought so much zucchini from him. 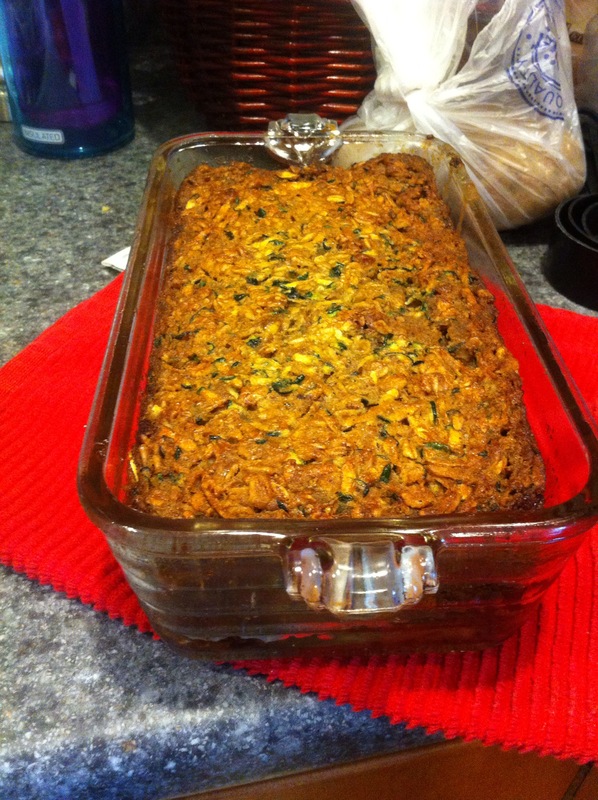 And they are not normal store sized zucchini. Each zucchini is a foot or so long. 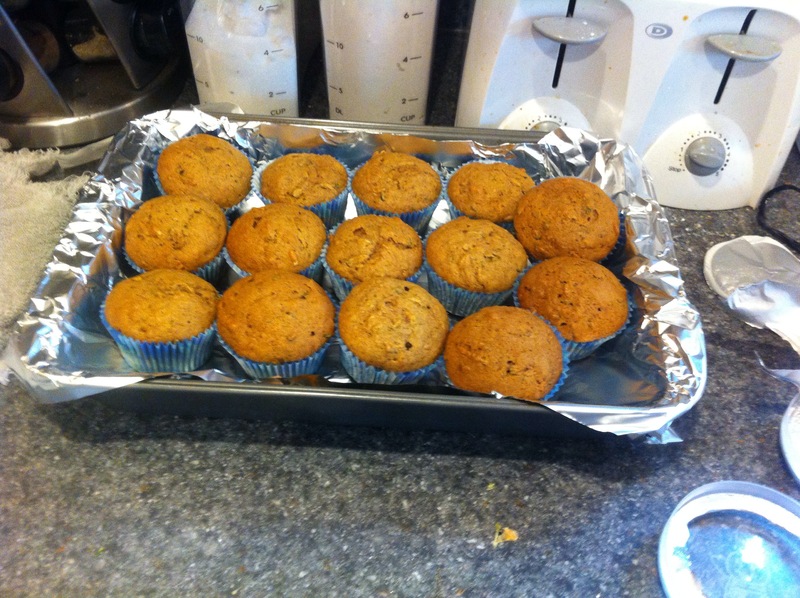 I have made many things with these zucchini – muffins, breads, cakes. 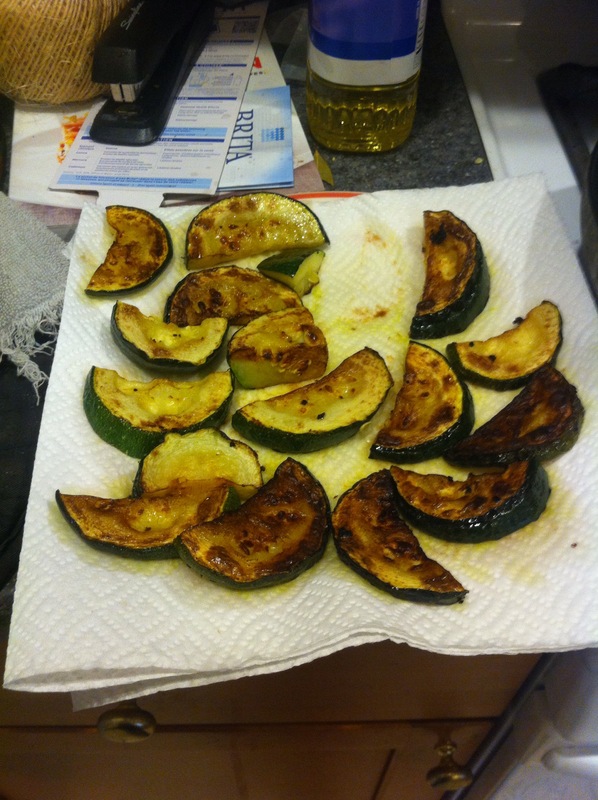 But the thing I’ve made most is roasted zucchini. 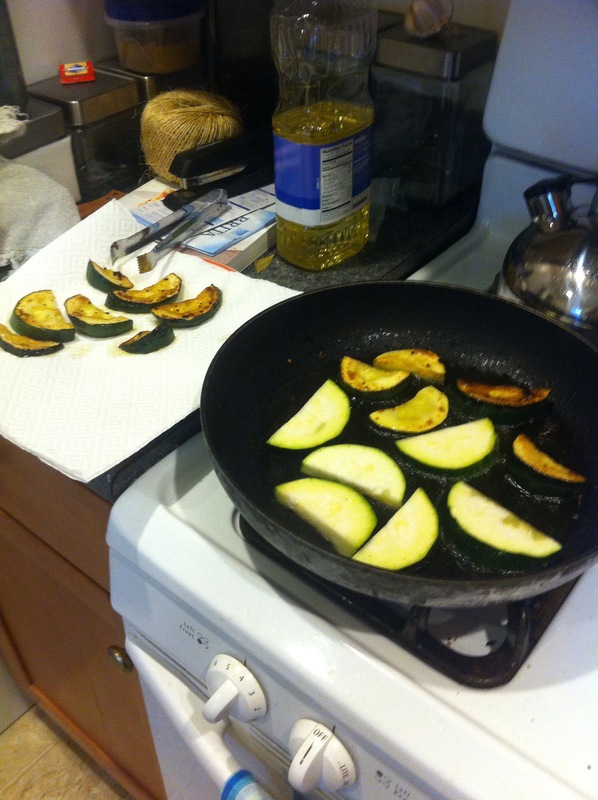 Take a pan, add some oil and garlic, and add pieces of zucchini. ← hell on earth//heaven on earth.